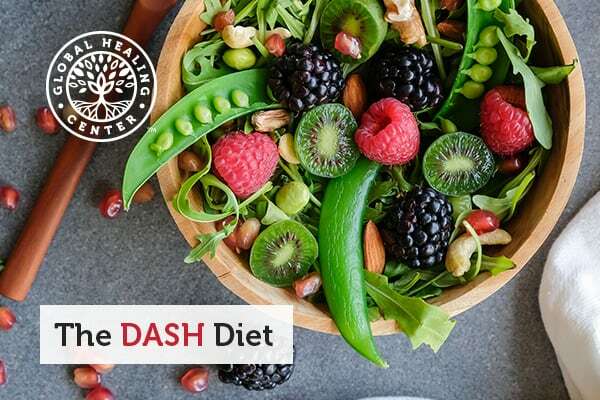 If you’ve been thinking about changing your diet in order to lose weight, lower your blood sugar or blood pressure, or just improve your overall health, you might have heard about the DASH Diet. The DASH (Dietary Approaches to Stop Hypertension) Diet was named the “best overall diet" for eight consecutive years by U.S. News and World Report. Some of this distinction is owed to the fact that research suggests the diet may promote weight loss, lower your cholesterol, and help prevent diabetes. Many nutritionists applaud the diet for being less restrictive and more sustainable over the long haul compared to other eating plans. Always select food that's whole, unrefined, organic, and, whenever possible, locally grown. Eat at least one serving of vegetables at every meal. Have a serving of vegetables or fruit at every snack. Replace refined grains such as white bread, white pasta, and white rice with whole grains such as brown rice, wild rice, and oats. Avoid wheat, as it contains gluten. 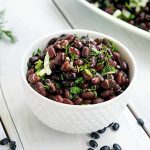 Add beans or lentils to vegetarian dishes to boost the protein and fiber content, which will help satisfy your appetite with less food. Snack on raw nuts, such as almonds, cashews, walnuts, or pistachios. Cook with low-sodium seasonings such as herbs and spices rather than salt and processed condiments. When grocery shopping, choose low-sodium foods. When you crave sweets, choose fruit rather than candy or baked goods. Scientists created the DASH Diet with funding from the National Institutes of Health's National Heart, Lung, and Blood Institute (NHLBI). Their goal was to design an eating plan that reduced high blood pressure or hypertension. You have hypertension if your systolic blood pressure is 140 mmHg or higher or your diastolic blood pressure is 90 mmHg or higher. The DASH Diet was designed to reduced high blood pressure. DASH Diet recipes emphasize vegetables, fruits, whole grains, lean protein, healthy fat, and low-fat or fat-free dairy. The diet limits sugar and sodium and encourages foods that are low in saturated fat and cholesterol and high in fiber, protein, potassium, calcium, and magnesium. While originally designed for omnivores, it is easily adapted by people who wish to follow a plant-based diet. One of the most attractive aspects of the DASH Diet is the diverse selection of foods it allows. 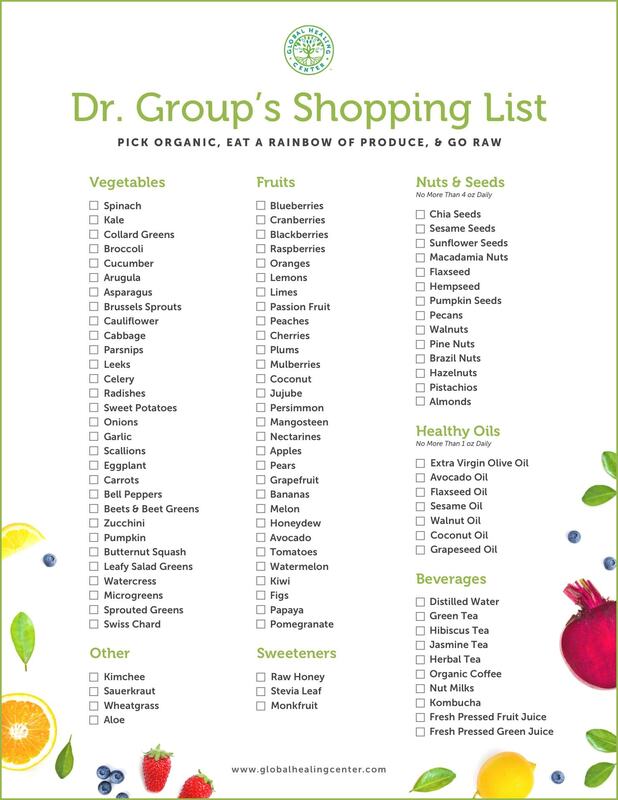 In fact, the list of foods you can eat is, thankfully, longer than the list of foods to avoid — plus they’re easily found in grocery stores and farmers markets. The exact number of servings for each food type varies depending on your caloric needs. Those listed below are recommendations for a 1,800-calorie diet. Aim for four to five servings of fruit daily. A serving is one medium piece of fruit, a quarter cup of dried fruit, a half cup of fresh or frozen fruit, or a half cup of 100 percent fruit juice. The DASH diet allows all fruit, including apples, bananas, grapes, oranges, grapefruit, mangoes, watermelons, peaches, apricots, pineapples, strawberries, and tangerines. Good dried fruits include dates, figs, prunes, or raisins. Aim for four to five servings of vegetables daily. 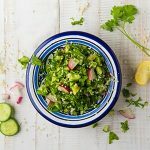 A serving is one cup of raw leafy vegetable, a half cup of cut-up raw or cooked vegetables, or one-half cup of 100 percent vegetable juice. This diet allows you to eat any vegetable. Good options include broccoli, green beans, peas, kale, collard greens, bell peppers, spinach, winter or summer squash, sweet potatoes, and tomatoes. Aim for six servings of whole grains every day. 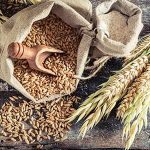 The best healthy grains include brown rice, wild rice, and oats. These whole grains are an excellent source of fiber and they're free of gluten. Other gluten-free options include buckwheat, amaranth, teff, and quinoa (which is technically a seed). Aim for four servings per week. A serving is one-third cup of nuts, two tablespoons nut or seed butter, two tablespoons whole seeds, or a half cup cooked legumes. Choose any nuts, seeds, or legumes — lentils, navy beans, garbanzo beans, and kidney beans are all good options. Aim for two to three servings of healthy fats daily. A serving is one teaspoon oil (olive, peanut, avocado, or coconut). Other sources of healthy fats include avocados and fresh, no-sugar-added peanut or almond butter. The vegetarian DASH Diet recommends fat-free or low-fat dairy. If you do eat dairy, always choose organic products that come from pasture-raised animals. If you're opting for a plant-based version of the DASH diet, try non-dairy yogurt, cheeses, or milk, like almond or coconut milk instead. Although the DASH Diet is diverse, there are a few foods you should eliminate or reduce your intake of. On the vegetarian DASH diet, you will not eat any meat. The standard DASH diet recommends avoiding beef, pork, and ham because they are high in saturated fat and sodium. The vegetarian DASH Diet requires avoiding consumption of all meats, even lean cuts of chicken and fish. The DASH diet restricts full-fat milk, yogurt, cheese, and other sources of dairy since these choices are high in saturated fat. The DASH diet allows for no more than five servings of low-fat sweets per week. Examples of a serving include one tablespoon sugar, jelly, or jam, a cup of lemonade, and a half cup of sorbet or gelatin dessert. Better yet, skip the refined sugar and reach for some fresh fruit when you crave something sweet. There are two sodium limits on the DASH Diet: 1,500 milligrams or 2,300 milligrams daily. Generally, the lower your sodium intake, the lower your blood pressure. The DASH Diet allows for moderate consumption of alcoholic beverages. Moderation means no more than one drink per day for women and two per day for men. Keep in mind that one drink is 12 ounces of regular beer, 5 ounces of wine, or 1 1/2 ounces of spirits. Also, know that there’s virtually no health or nutritional benefit to consuming alcohol and a long list of benefits associated with avoiding it entirely. The following meal plan is an example of what following the DASH Diet could look like. Although the DASH Diet was created to help people lower their high blood pressure, the diet has other health benefits as well, so don't dismiss it if your blood pressure is in the healthy range (a systolic reading between 90 to 120 mmHg and a diastolic of 60 to 80 mmHg). Studies have found that the DASH Diet significantly reduces systolic blood pressure and that consuming fewer calories while on the diet compounds the effect. Following a low-sodium diet alongside the DASH Diet may help reduce your blood pressure even more. Being overweight is a risk factor for hypertension. Losing as little as 5 to 10 pounds may help lower blood pressure. The DASH Diet is one plan that may help with weight loss. After 24 weeks on the DASH Diet, people lost three pounds more than other dieters and almost half an inch more off of their waistline. The DASH Diet is appropriate for people living with diabetes, since the diet may help reduce blood pressure as well as weight. Some studies suggest the diet may also improve insulin sensitivity and therefore reduce the risk of type 2 diabetes, but more research is necessary. The DASH Diet may help those living with metabolic syndrome — a pre-diabetic condition that includes hypertension, high blood sugar, and excess weight — to lower their blood pressure and manage their symptoms. The DASH Diet may reduce the risk of colorectal and breast cancer. Plus, some components of the DASH Diet — like eating more whole grains, fruits, vegetables, and nuts and less dairy, salt, and meat — are associated with reduced risk of some types of cancer. In many ways, long-term good health is the cumulative effect of consistently making healthy dietary (and lifestyle) choices. Combining the principles of the DASH diet with a plant-based foundation is a good way to compound the health benefits each has to offer. High blood pressure is a risk factor for cardiovascular disease. By reducing your blood pressure, you help your heart. But following the DASH Diet also helps lower “bad" LDL (low-density lipoprotein) cholesterol. High levels of LDL lead to plaque buildup in the arteries, which increases your risk or heart attack and stroke. Hypertension increases the risk of stroke, but the DASH Diet reduces this risk. The DASH Diet seems easy to start, but — depending on your current diet — it may significantly shift how you eat. A few simple steps will ease the transition. Keep a food journal for a day or two, tracking what you eat and how much you eat at each meal and how often you snack. An easy way to do this is to download an app that tracks the sodium and nutrient levels of food. Then compare your current habits to the DASH Diet plan. You'll quickly see what you're already doing, plus what changes you need to make. You don't have to go all the way overnight. Start with one or two changes, such as eating at least one serving of vegetables at every meal, and then add more as those old changes become new habits. These changes will add up. 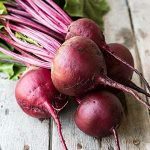 You don't have to hit every single serving recommendation every single day, nor do you need to consume exactly 2,300 mg or 1,500 mg sodium daily. Strive to reach the recommended intakes but keep in mind that overall trends matter the most. So if the majority of your meals for the week fit the DASH Diet, view that as a success. Aim for at least 30 minutes of activity daily or one hour of activity if you are trying to lose weight. You can split this time up into 10-minute segments if that is easier. Choose something you enjoy, whether that's walking, hiking, swimming, dance class, yoga, or anything else. The important thing is to move. Other changes can further reduce blood pressure and keep you healthy. If you smoke or chew tobacco, stop. For tips and ideas, check out our how to quit smoking guide. Manage your stress with a massage, meditation, or relaxation techniques. Get 7 to 9 hours of sleep each night. The Dietary Approaches to Stop Hypertension Diet aims to reduce high blood pressure. However, the diet is appropriate for nearly everyone — not just people with high blood pressure. In addition to this benefit, following the DASH diet may help with losing weight, lowering cholesterol, and reducing the risk of heart disease. The DASH Diet includes fruits, vegetables, whole grains, lean proteins, and healthy fats, and limits red meat, added sugar, salt, and alcohol. Have you tried the DASH diet? What did you think? Leave a comment below and share your experience with us. DASH Diet: #1 in Best Diets Overall. U.S. News & World Report. Accessed 13 Aug. 2018. DASH Eating Plan. National Heart, Lung, and Blood Institute. Accessed 13 Aug. 2018. Saneei P, et al. Influence of Dietary Approaches to Stop Hypertension (DASH) diet on blood pressure: a systematic review and meta-analysis on randomized controlled trials. Nutr Metab Cardiovasc Dis. 2014;24(12):1253-61. Sacks F, et al. Effects on blood pressure of reduced dietary sodium and the Dietary Approaches to Stop Hypertension (DASH) Diet. N Engl J Med. 2001;344(1):3-10. Managing Weight to Control High Blood Pressure. American Heart Association. Updated 31 Oct. 2016. Accessed 13 Aug. 2018. Soltani S, et al. The effect of dietary approaches to stop hypertension (DASH) diet on weight and body composition in adults: a systematic review and meta-analysis of randomized controlled clinical trials. Obes Rev. 2016;17(5):442-54. Fung T, et al. The Mediterranean and Dietary Approaches to Stop Hypertension (DASH) diets and colorectal cancer. Am J Clin Nutr. 2010; 92(6):1429–1435. Fung T, et al. Low-carbohydrate diets, Dietary Approaches to Stop Hypertension-style diets, and the risk of postmenopausal breast cancer. Am J Epidemiol. 2011; 174(6):652–660. Onvani S, et al. Dietary approach to stop hypertension (DASH): diet components may be related to lower prevalence of different kinds of cancer: A review on the related documents. J Res Med Sci. 2015; 20(7):707–713. Larsson SC, et al. Dietary Approaches to Stop Hypertension Diet and incidence of stroke: results From 2 prospective cohorts. Stroke, 2016;47(4):986-90. What Is the Mediterranean Diet & Why Is It So Popular?